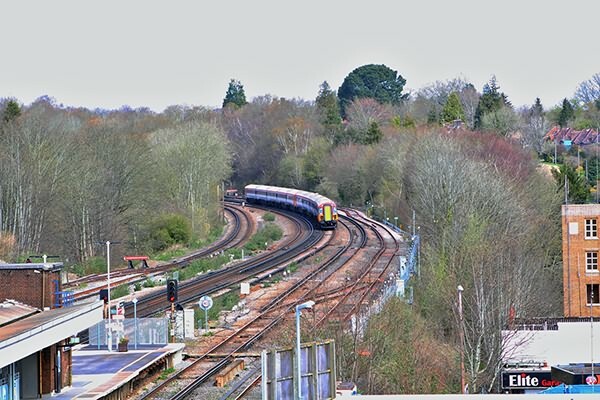 Here are half a dozen photographs taken on 13th April 2016 taken at the southern end of the Brighton Main Line illustrating everyday traffic. 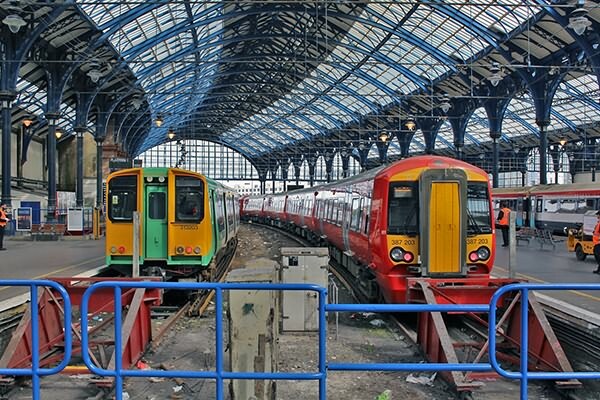 (above) At the buffer stops in Brighton Station western side are samples GTR's oldest and newest trains? 313203 is on the 11:03 to Portsmouth Harbour and 387203 on the rear of the 11:02 to London Bridge. 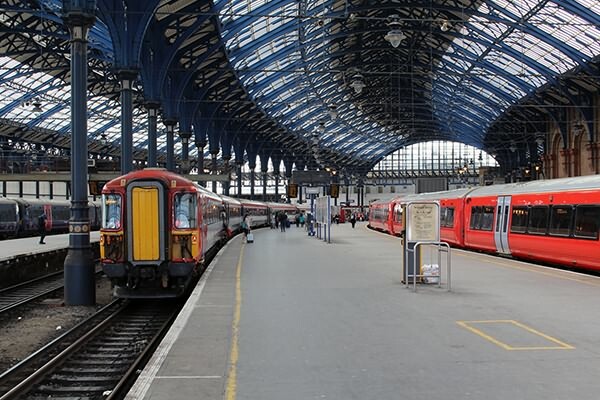 (below) At the next platform along (platform 3) 442404 stands under the roof at Brighton having arrived on 10:00 from Victoria. (above) New kids on the block, GTR's very last Electrostar units from Bombardier, 387201 waits to lead away 387203 with the 11:02 Brighton to London Bridge. Now up to Haywards Heath and a few pictures off the new multi storey car park which has gone up on the eastern side of the station. It has opened up some useful new views. 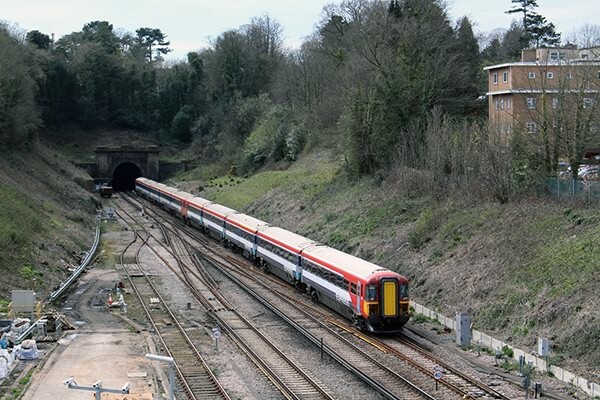 (below) Not yet completely ousted by new Class 387/2 units 442408 and 442419 approaching with the 11.00 Victoria - Brighton. (above) In the other direction classmates 442416 and 442421 heading north with the 11:48 Brighton - Victoria. (below) Class 387/1 units were procured as "interim" Thameslink stock pending delivery of Class 700 units to permit the cascade of Class 319 units to commence. Upon introduction of sufficient Class700 units the Class 387/1 fleet was originally destined to run new Thames Valley electric services for GWR. 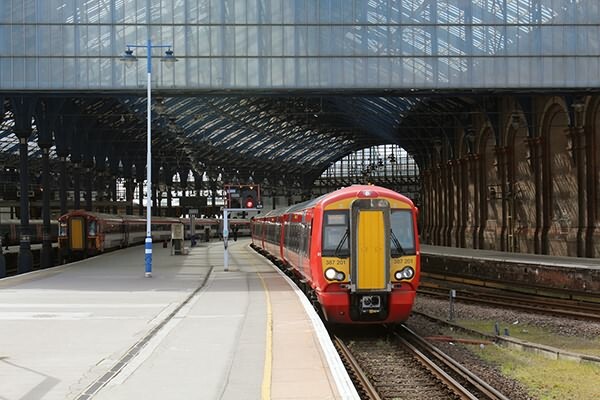 However, they are now designated for GTR's Great Northern services, where their 110mph capability will be useful on the East Coast Mainline. 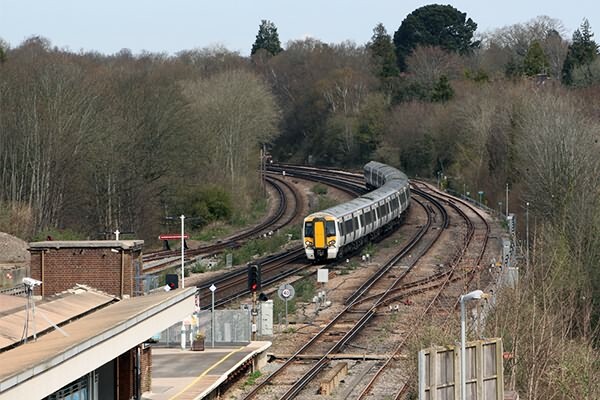 GWR are instead getting new-build Class 387s, and as the Webmaster travels on one of GWR's Thames Valley lines he is grateful not to get someone's hand-me-downs! 387120, 387127 and 387112 approach with the 09:40 Bedford - Brighton. This is one of the few 12 car 387 workings outside of the peak periods.